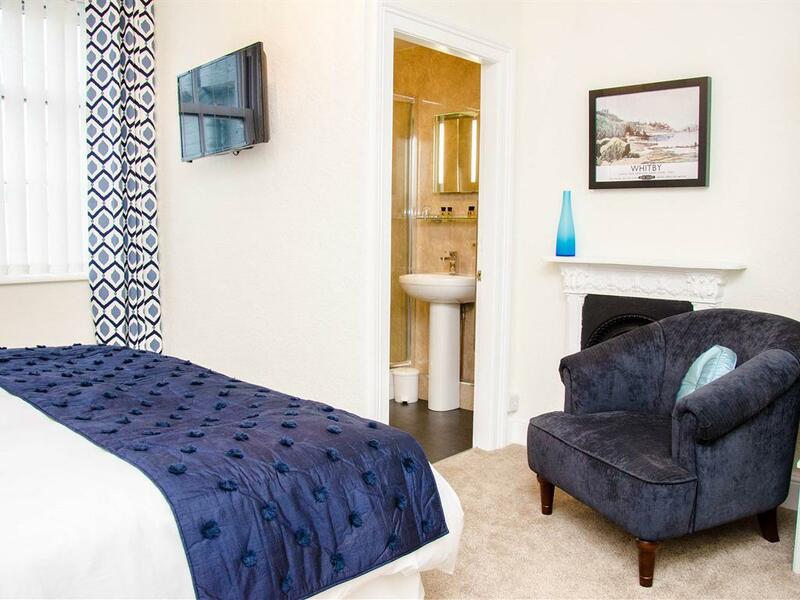 Located on the first floor at the rear; a charming en-suite double room with high ceiling, original Victorian mouldings and marble fireplace. 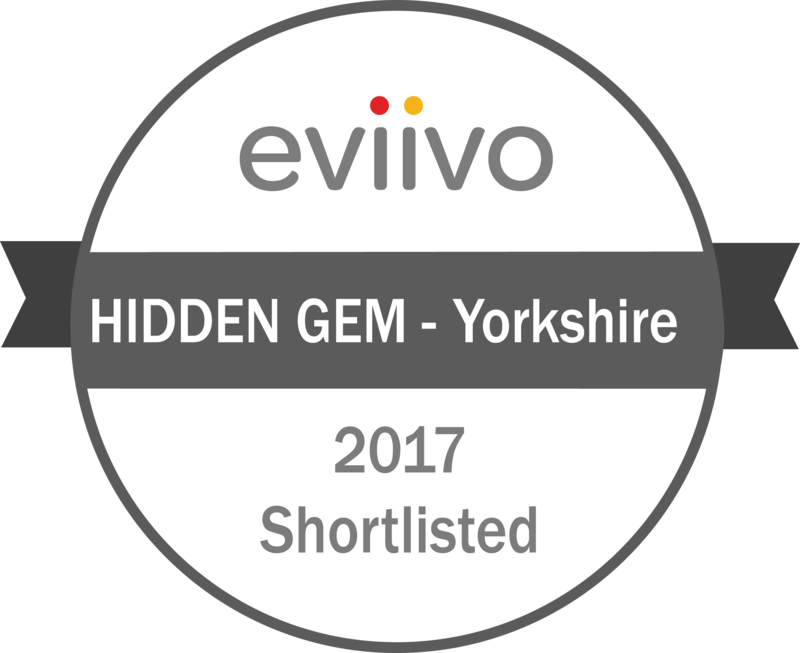 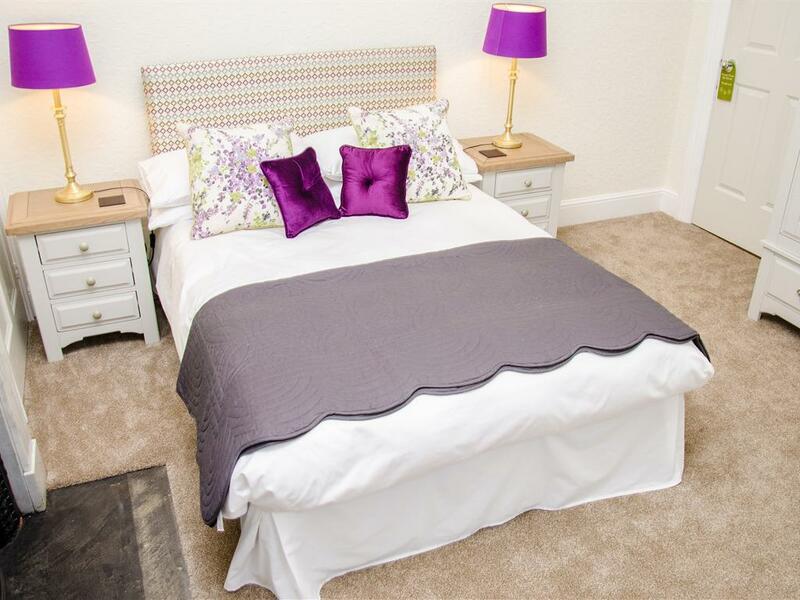 Furnished with high quality double wardrobe, dressing table, large comfortable armchair, flat-screen TV and silent running mini-fridge the soft furnishings are muted greys, mauves and greens, reminiscent of the North York Moors in summer. 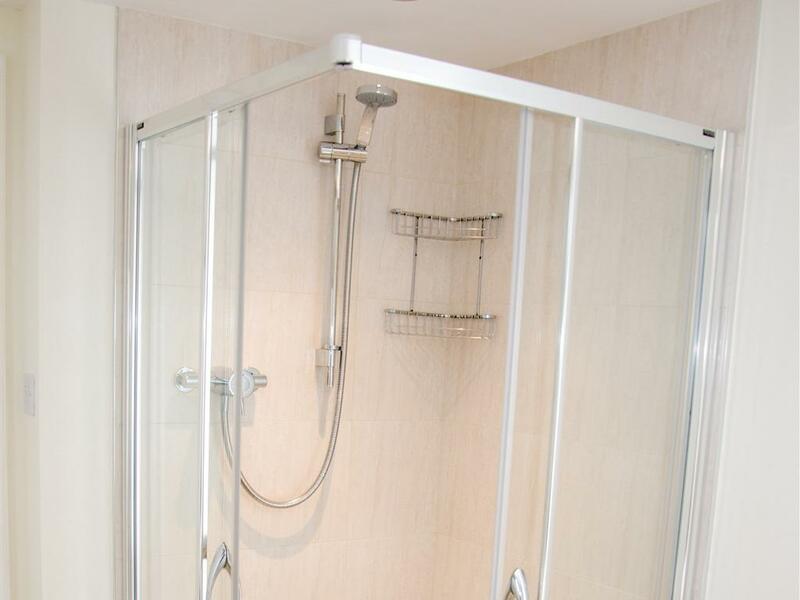 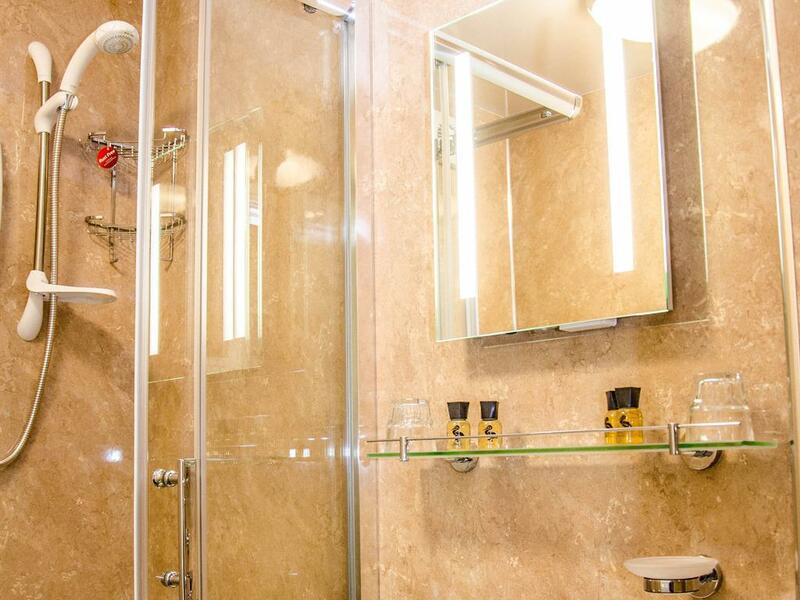 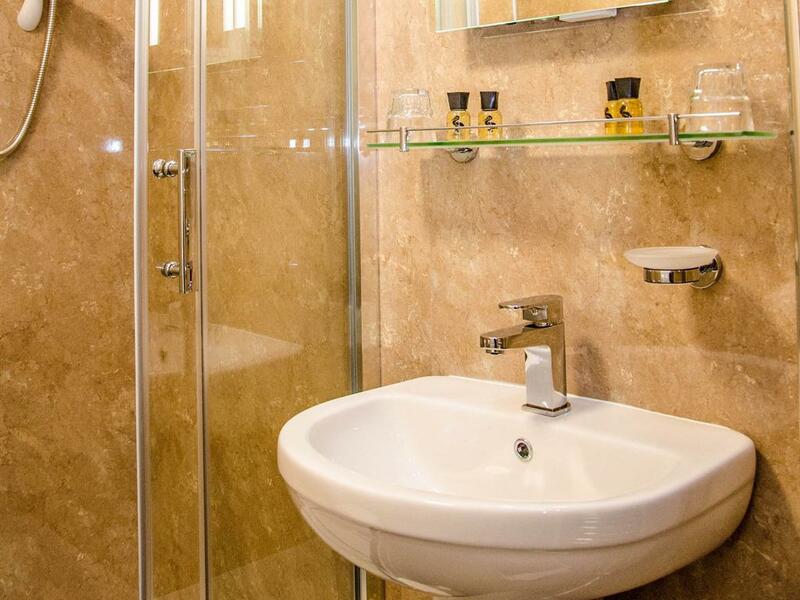 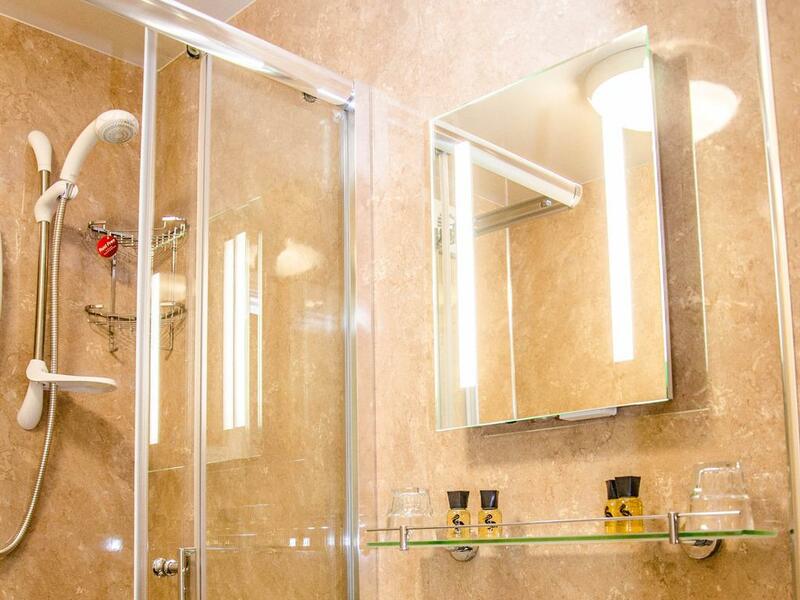 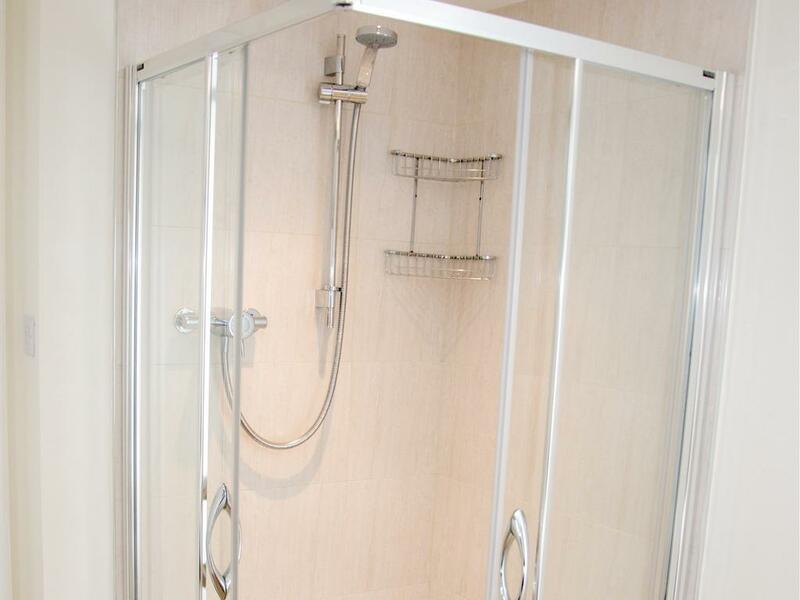 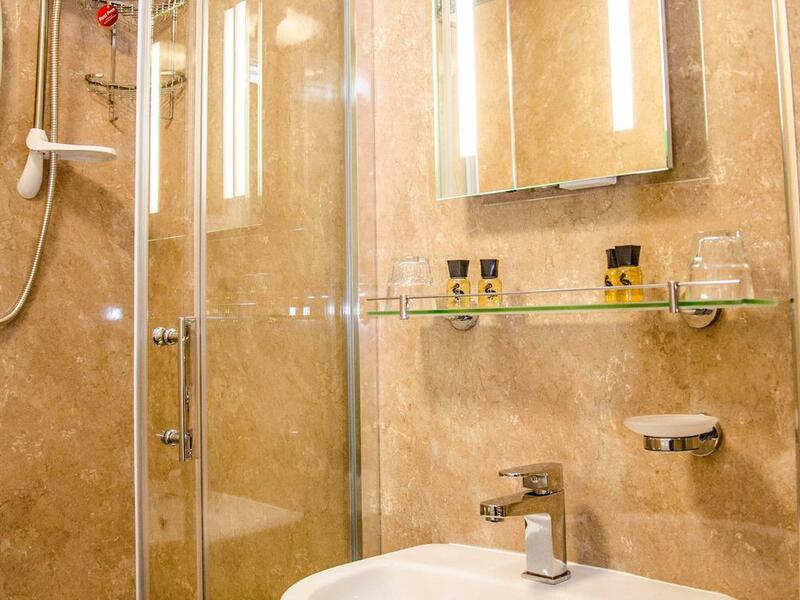 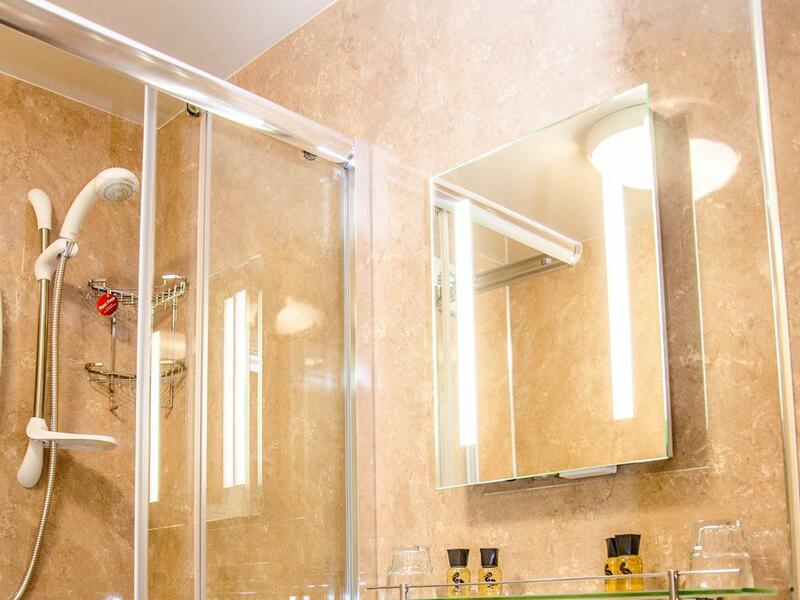 This room has a large en-suite shower room with shaver point, heated towel rail and LED mirror. 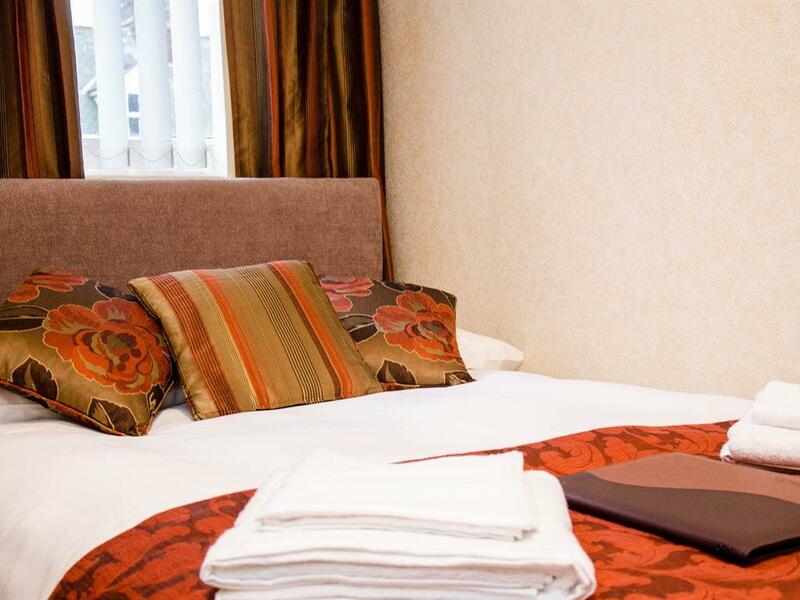 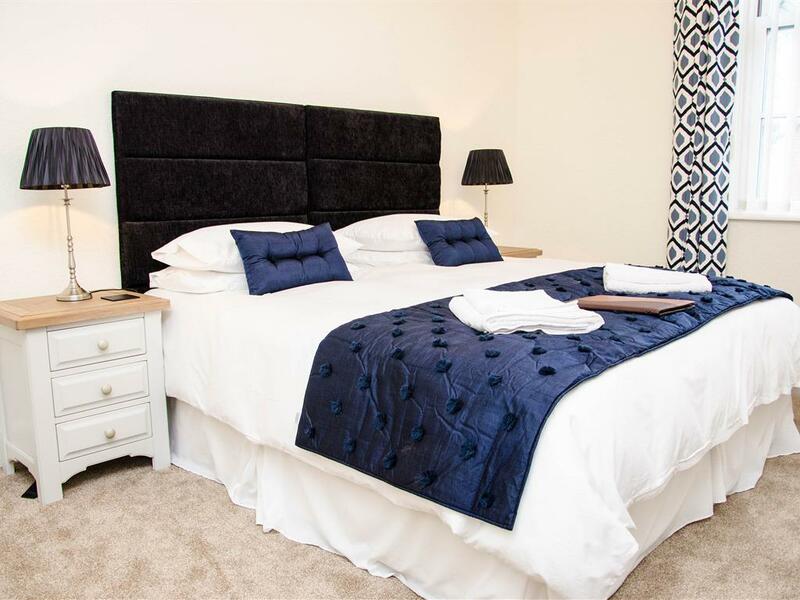 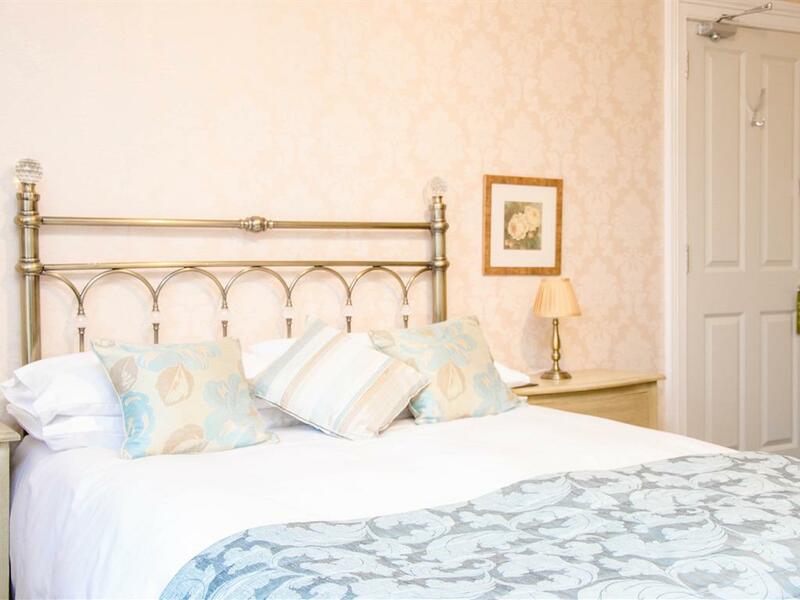 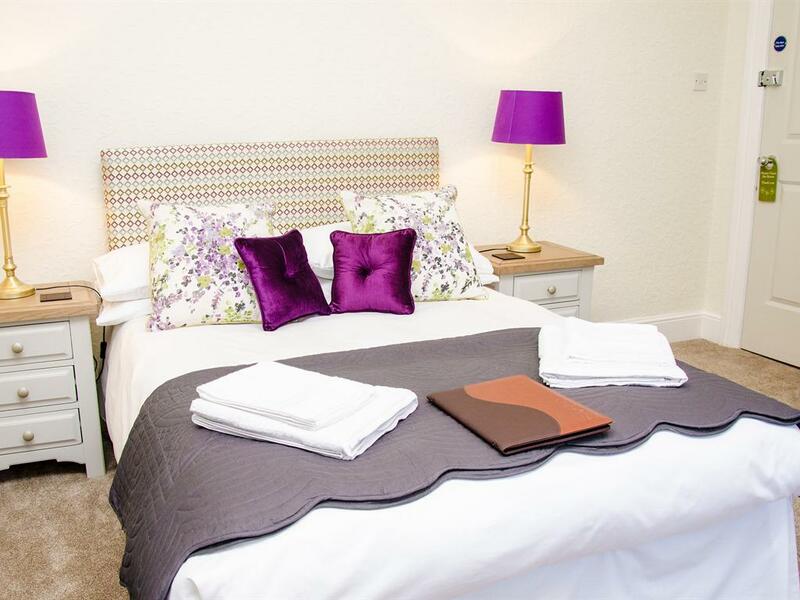 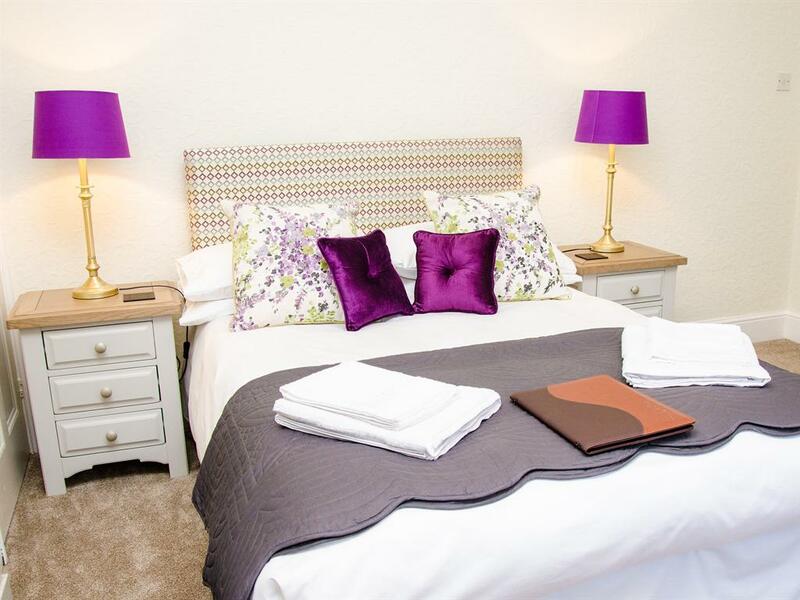 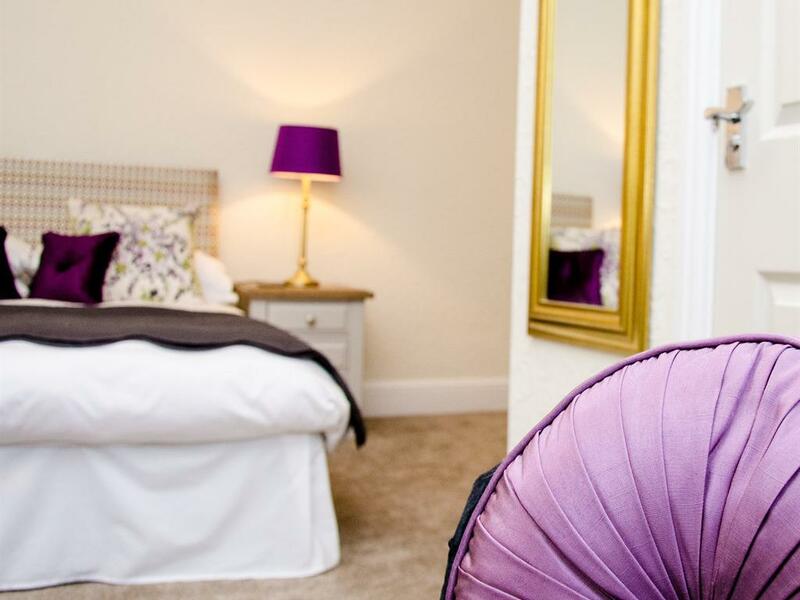 All our rooms have crisp white HTC Egyptian cotton bed linen, luxury feather and down duvets and pillows and large white fluffy bath sheets and hand towels. 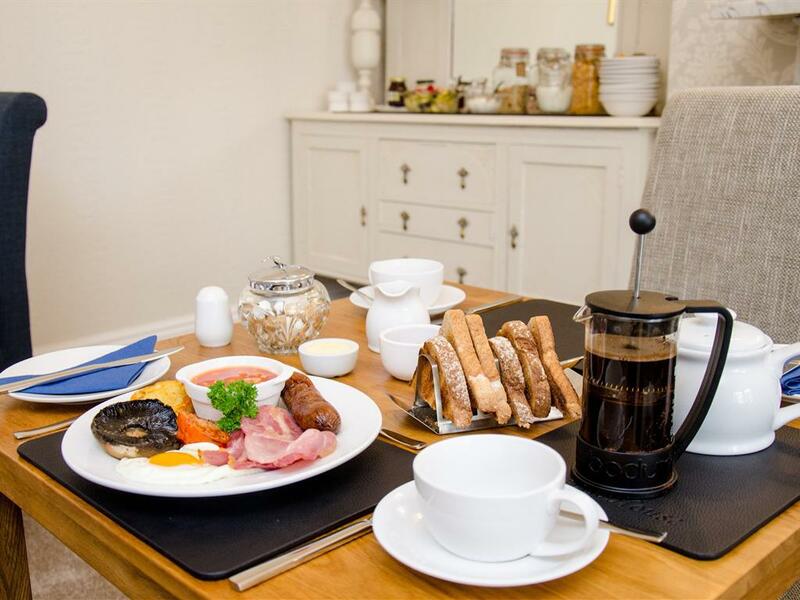 There are complimentary Duck Island toiletries in the en-suite, bottles of fresh milk in the mini-fridge and complimentary tea and coffee. A smart single room on the ground floor, with shower (in room) and en-suite cloakroom. 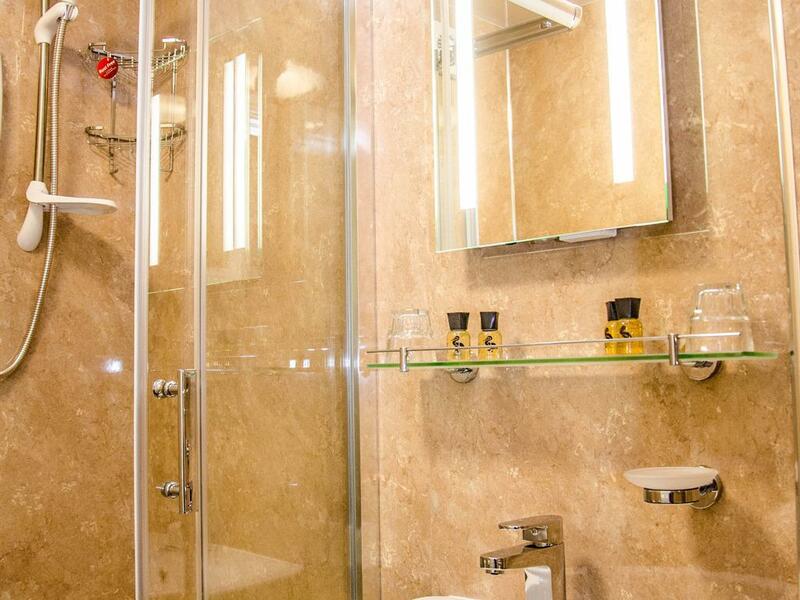 Perfect for one person. 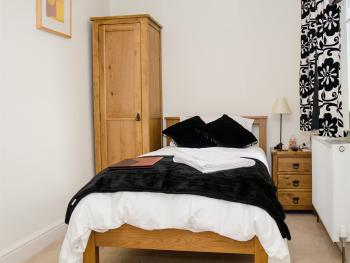 Furnished with high quality wardrobe, bedside table and flatscreen TV. All our rooms have crisp white HTC Egyptian cotton bed linen, luxury feather and down duvets and pillows and large white fluffy bath sheets and hand towels. 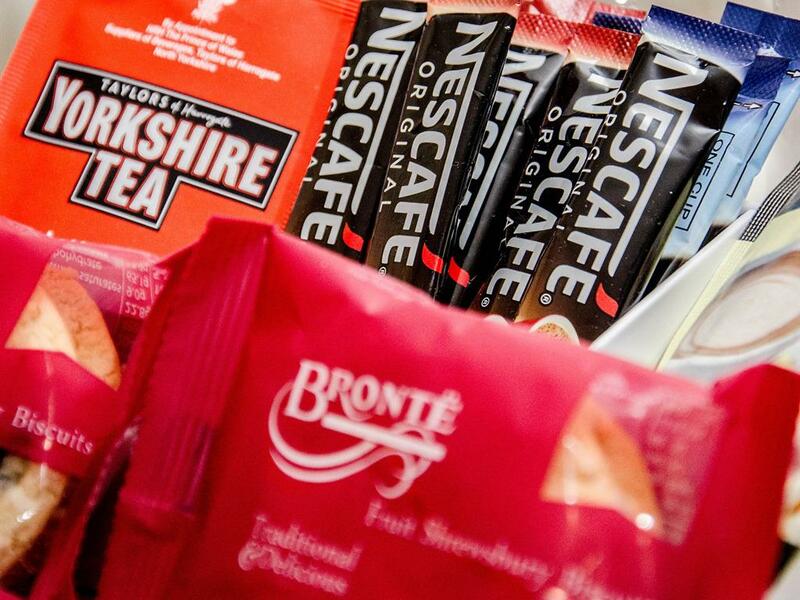 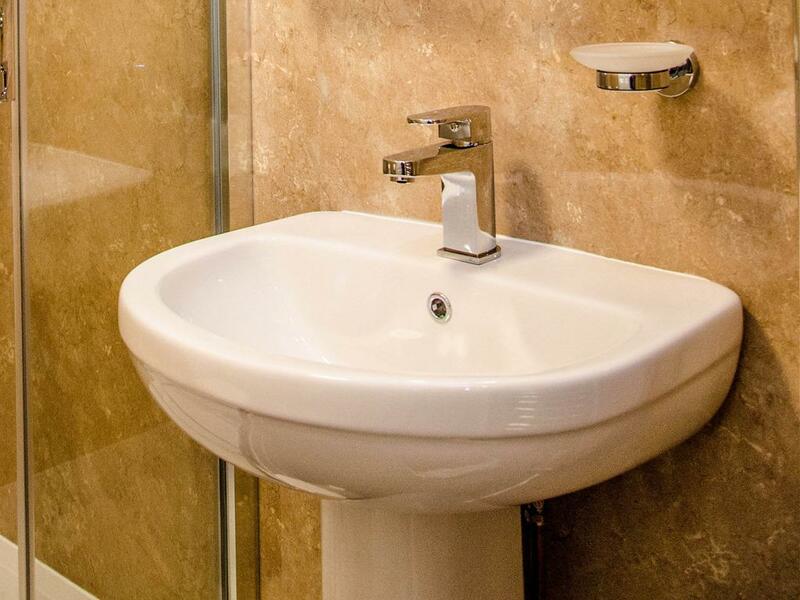 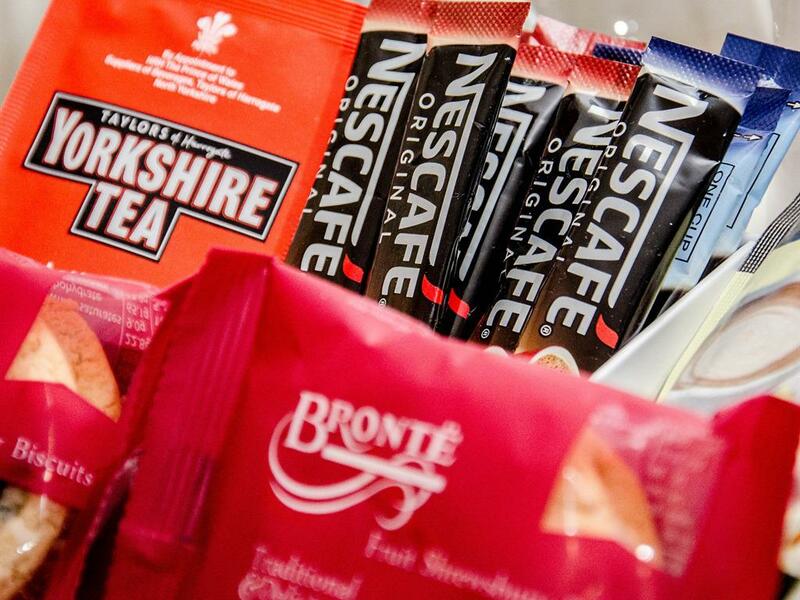 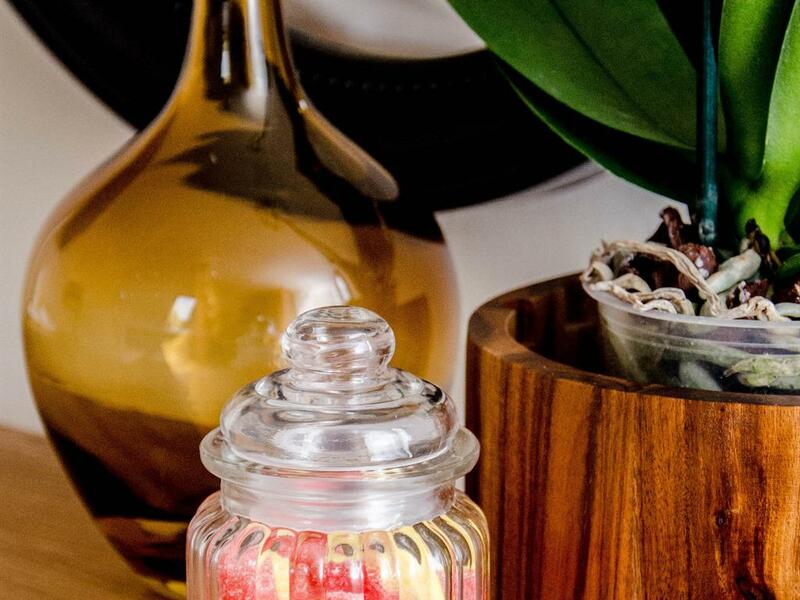 There are complimentary toiletries in the en-suite and tea and coffee on the hospitality tray. 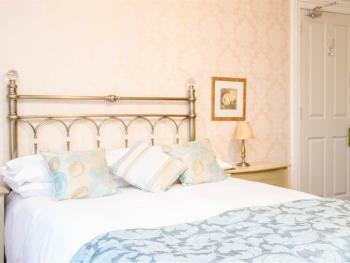 A spacious kingsize room with en-suite on the second floor at the front of the house with a large picture window. 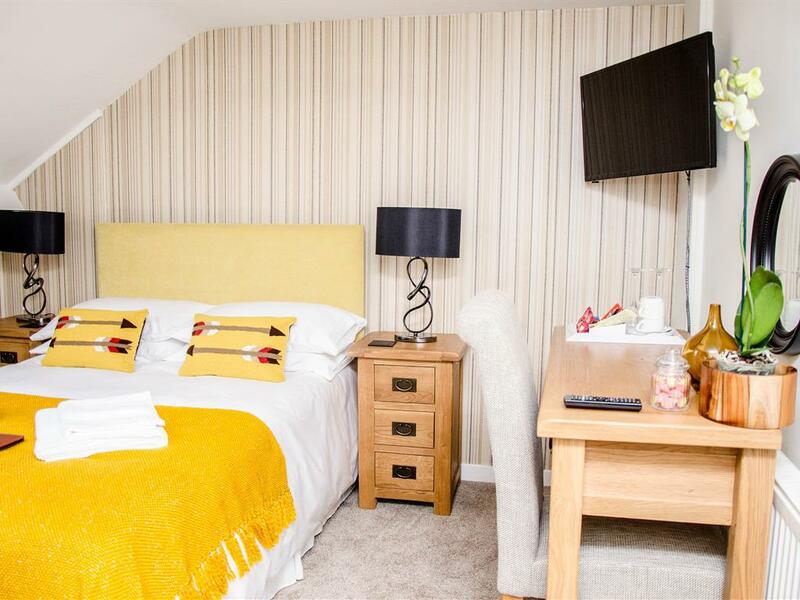 This room interconnects with a large single room making it an excellent family suite to accommodate a child under the age of 12 or a third adult. 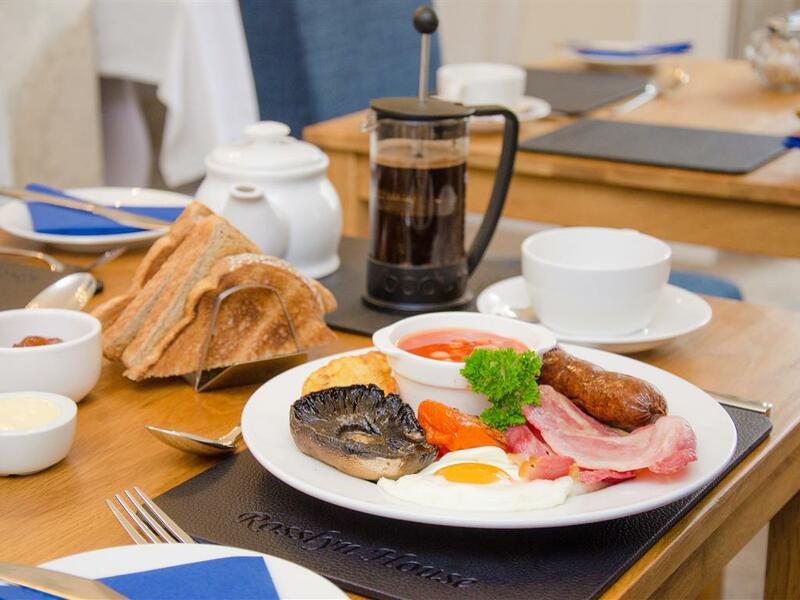 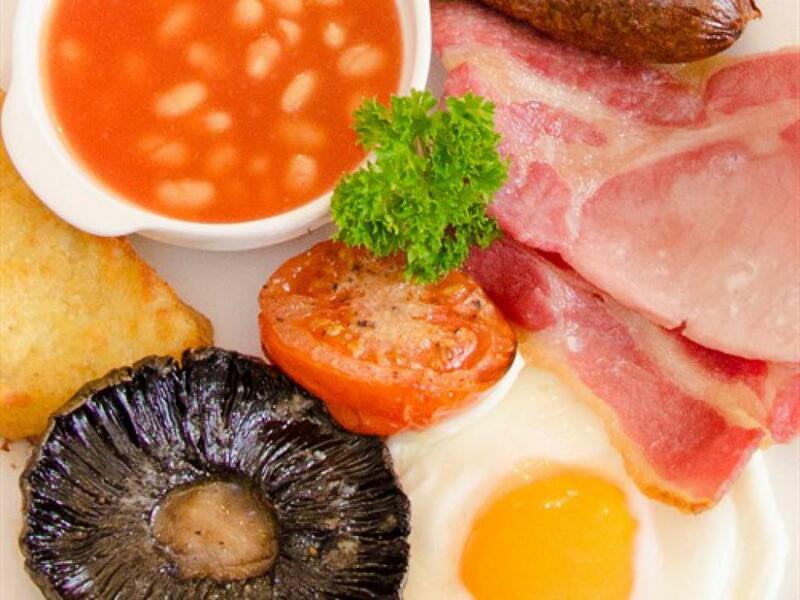 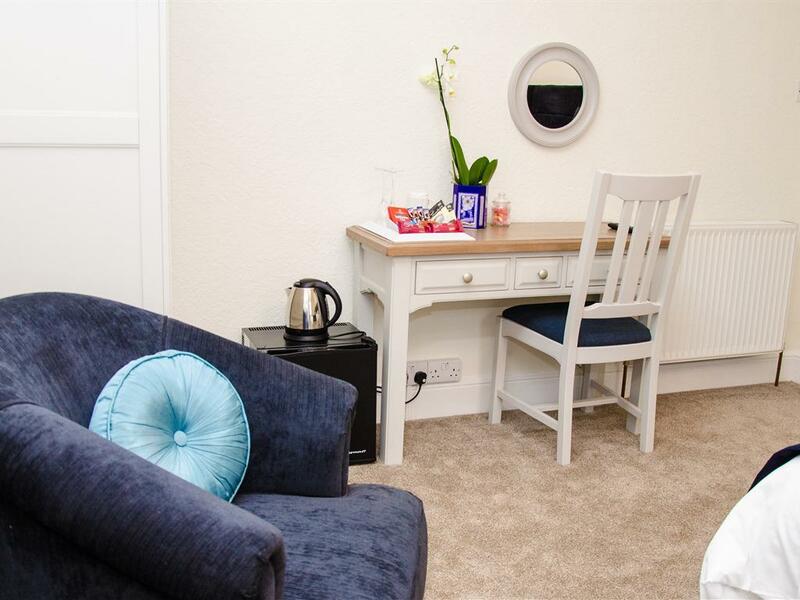 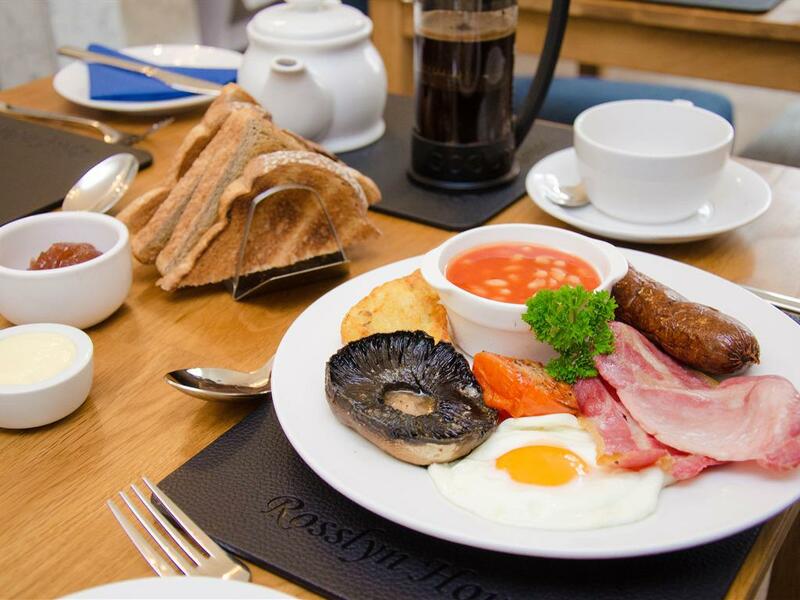 Both rooms are freshly decorated in rich blue and cream with matching soft furnishings.Furnished with a wardrobe, dressing table, comfortable armchair, silent running mini-fridge, luggage rack, magnifying make-up mirror, tissues,Tassimo Coffee Maker and flat-screen TV. 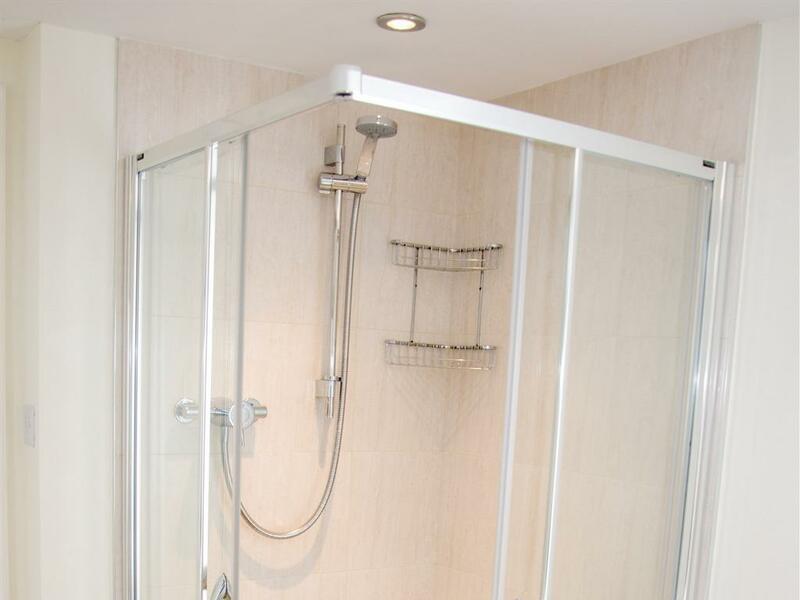 This room has a large en-suite shower room. 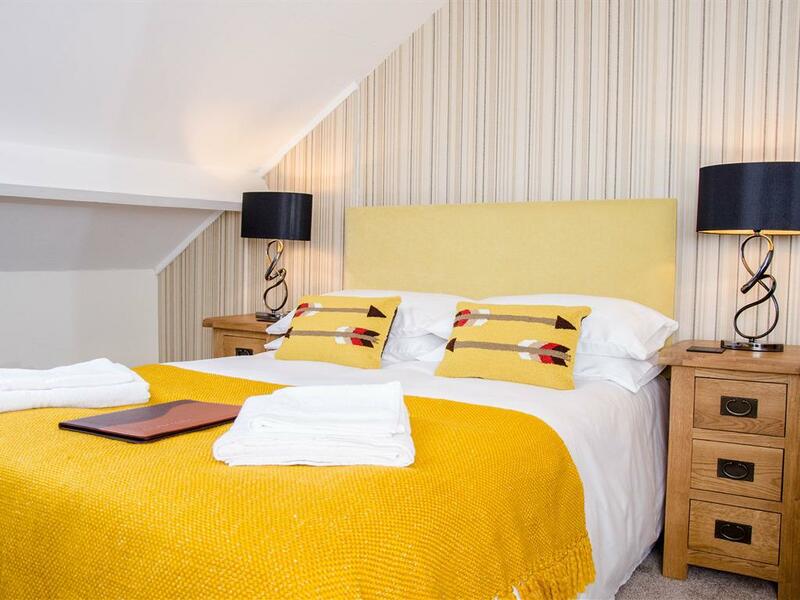 All our rooms have crisp white HTC Egyptian cotton bed linen, luxury feather and down duvets and pillows and large white fluffy bath sheets and hand towels. 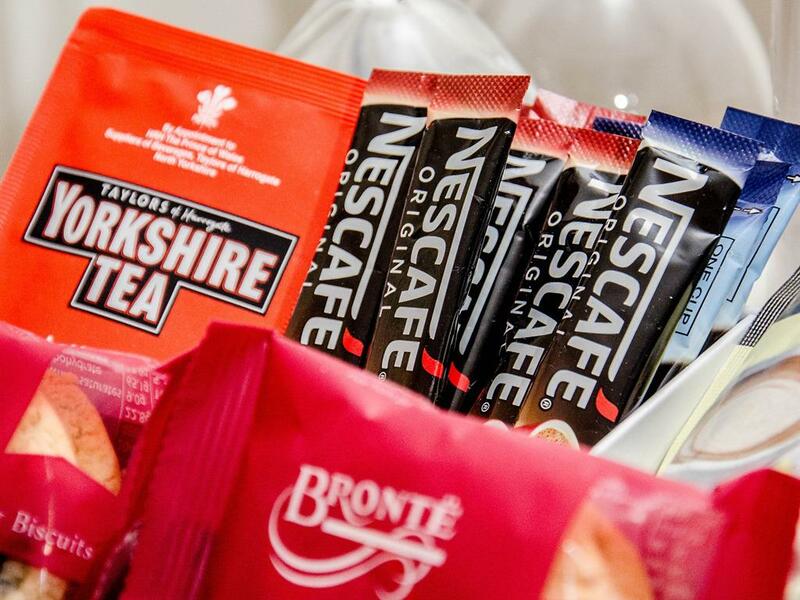 There are complimentary toiletries in the en-suite, bottles of fresh milk in the mini-fridge and complimentary tea and coffee. 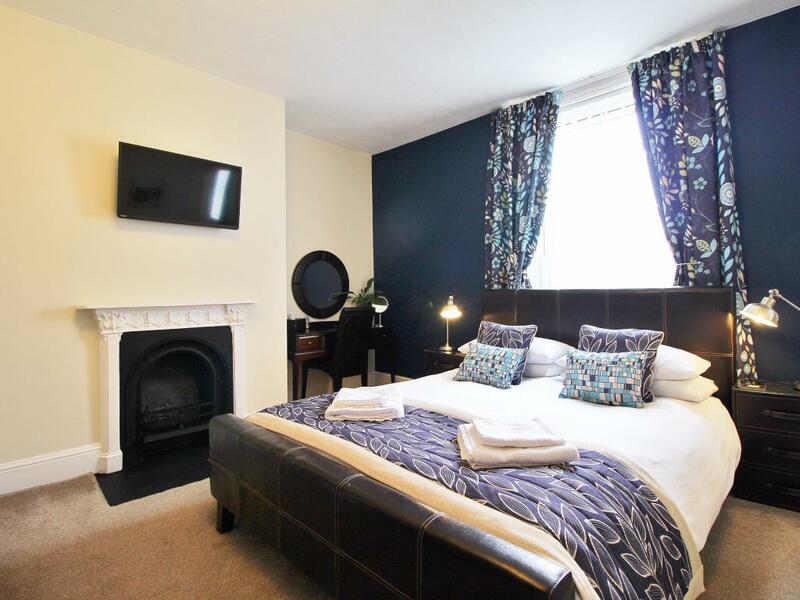 A large en-suite twin or super king-sized room (please state preference when booking), at the rear, with original Victorian fireplace situated on the second floor. 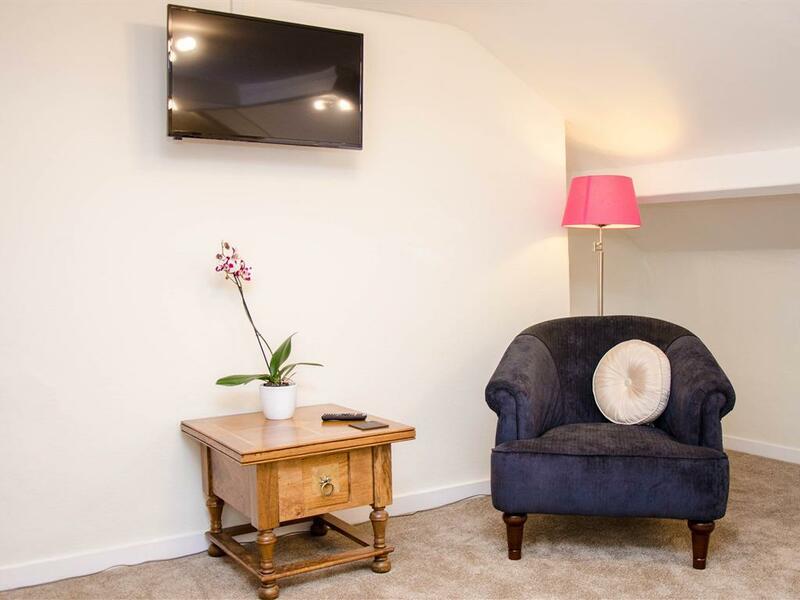 Furnished with high quality double wardrobe, large comfortable armchair, dressing table, flat-screen TV and silent running mini-fridge. 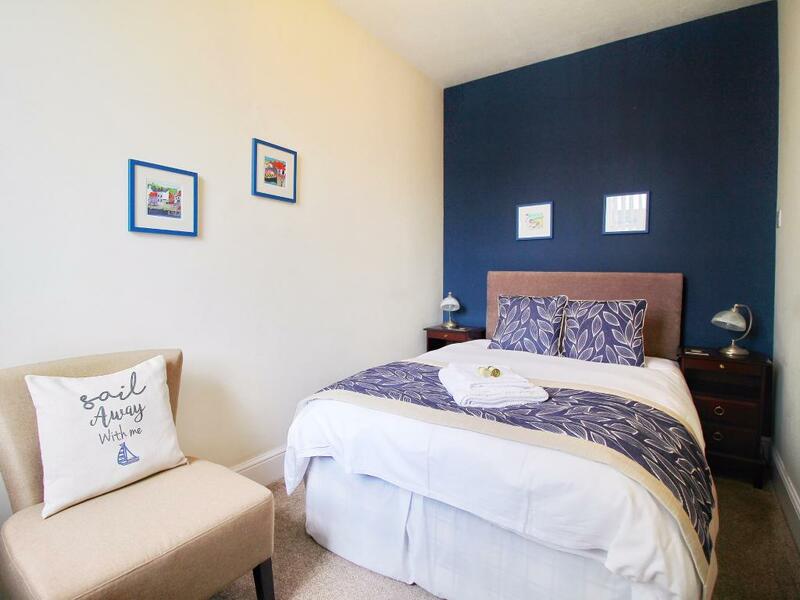 Decorated in Inky blues, soft greys and black with a nod towards the dark skies and blue sea we are so lucky to have in Whitby. 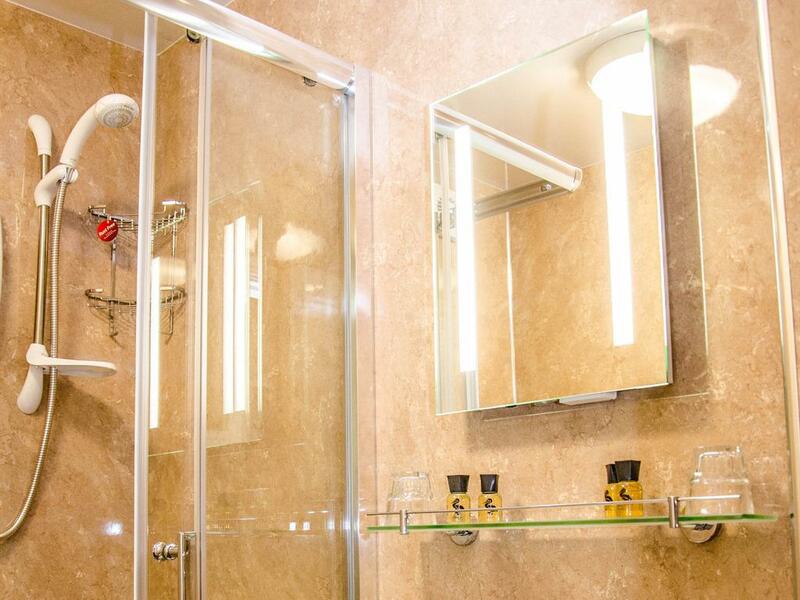 This room has a large en-suite shower room with shaver point, heated towel rail and LED mirror. 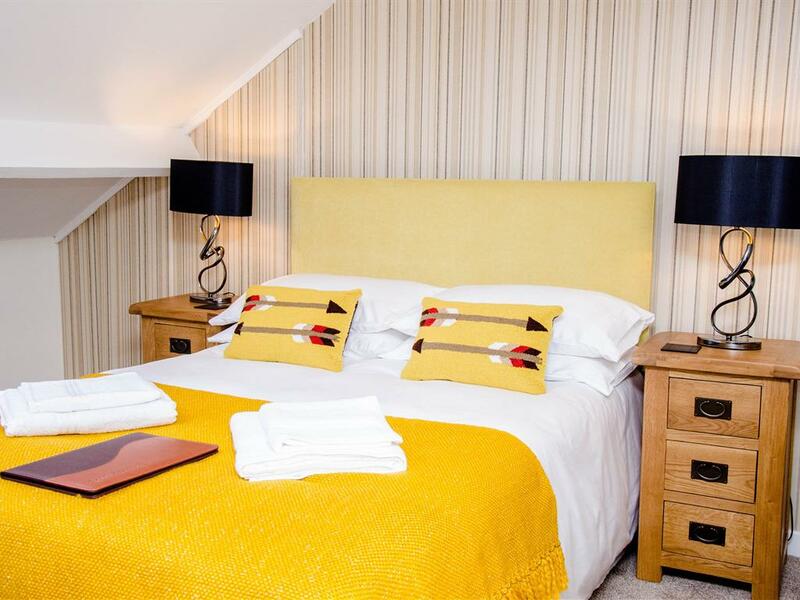 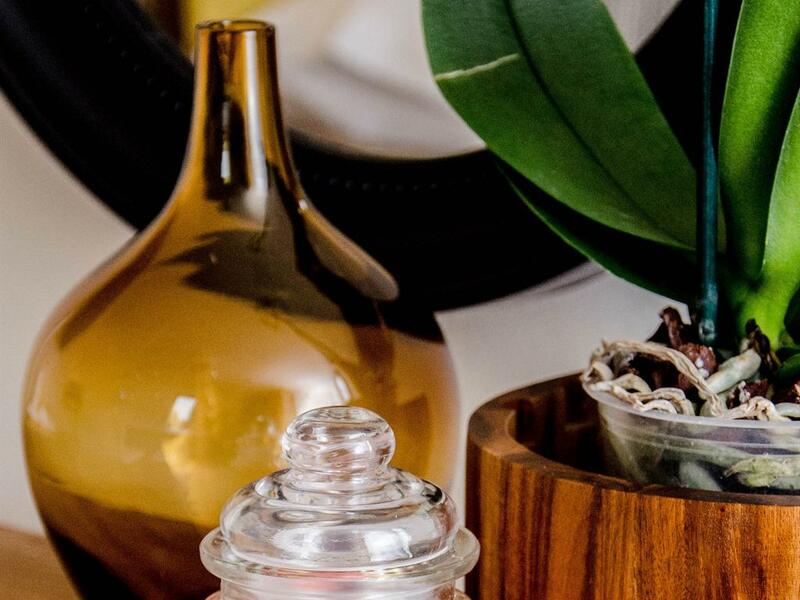 All our rooms have crisp white HTC Egyptian cotton bed linen, luxury feather and down duvets and pillows and large white fluffy bath sheets and hand towels; the bed is dressed with luxury Thai silk cushions and runners. 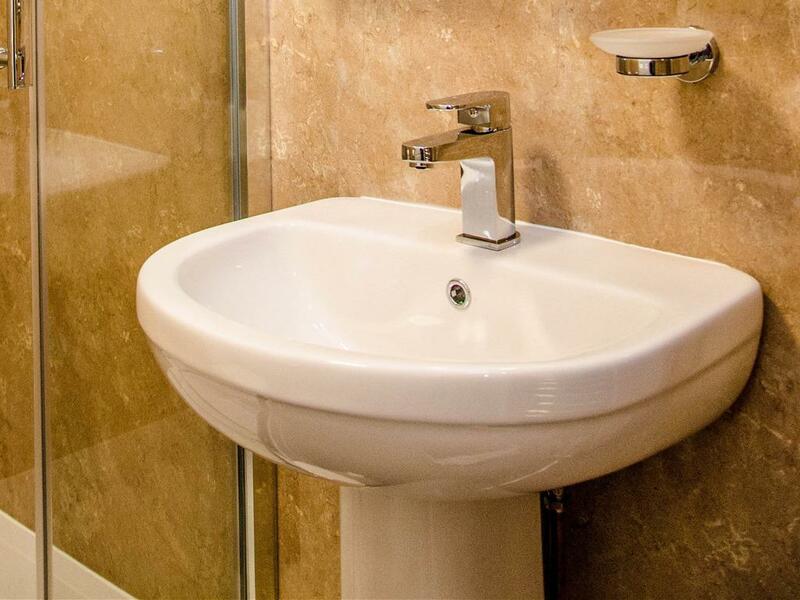 There are complimentary toiletries in the en-suite, bottles of fresh milk in the mini-fridge and complimentary tea and coffee. 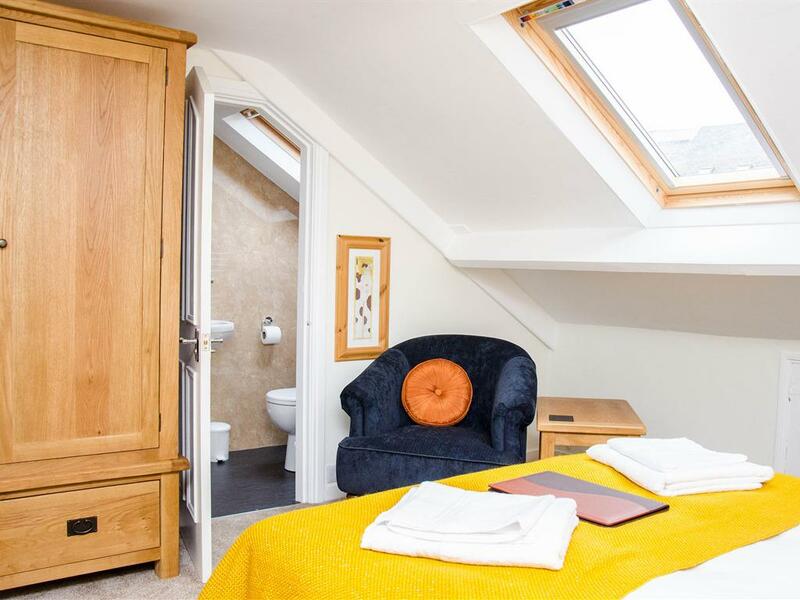 If a certain brewer did guest rooms…….. At the top of the house but worth the climb, this spacious en-suite room with dormer windows to the front gives views over the rooftops to the moors beyond and to the Abbey from the side. 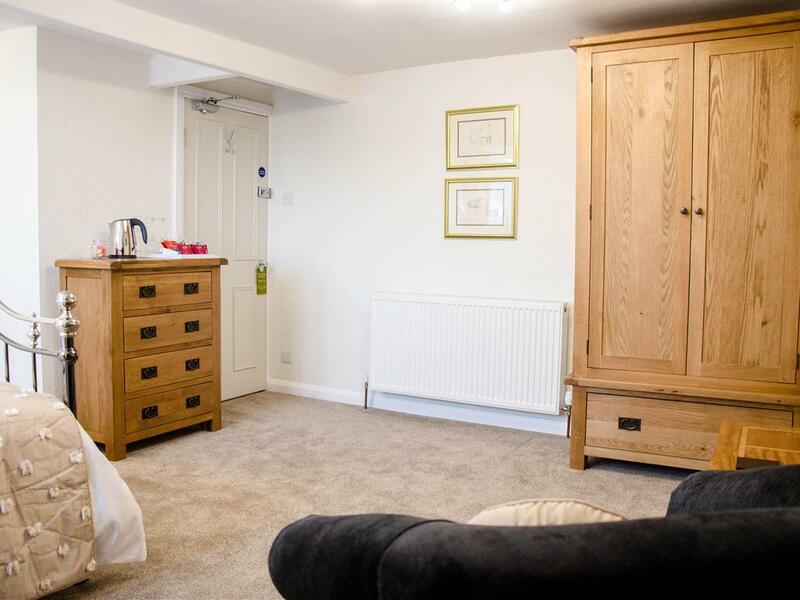 Light and bright, furnished in pretty creams, fuchsia and green with large wardrobe, chest of drawers, dressing table, coffee table large comfortable arm chair, flat-screen TV, luggage rack, magnifying make-up mirror, tissues and silent running mini-fridge. 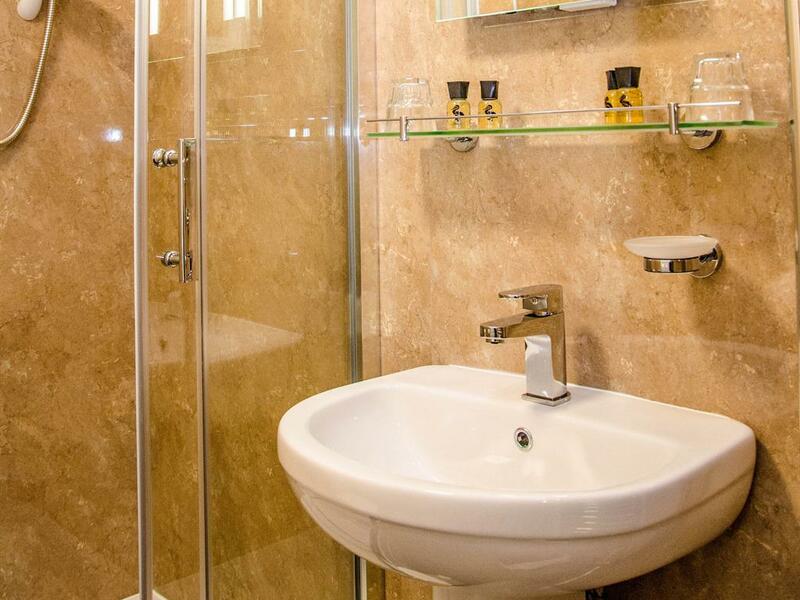 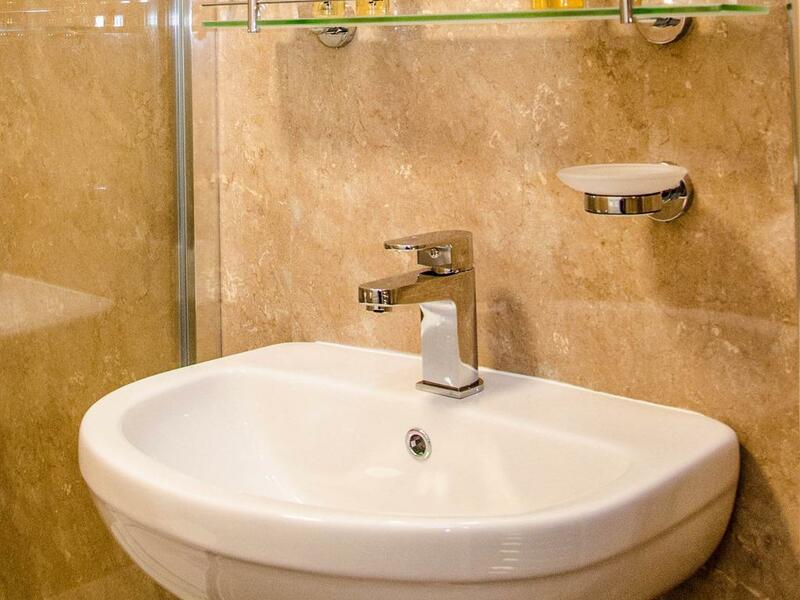 The large en-suite has a heated towel rail, LED mirror with integrated shaver point and lots of space for your toiletries. 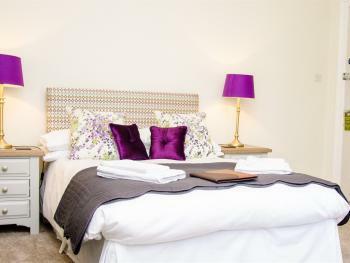 All our rooms have crisp white HTC Egyptian cotton bed linen, luxury feather and down duvets and pillows and large white fluffy bath sheets and hand towels; the bed is dressed with luxury Thai silk cushions and runners.There are complimentary toiletries in the en-suite, bottles of fresh milk in the mini-fridge and complimentary tea and coffee. 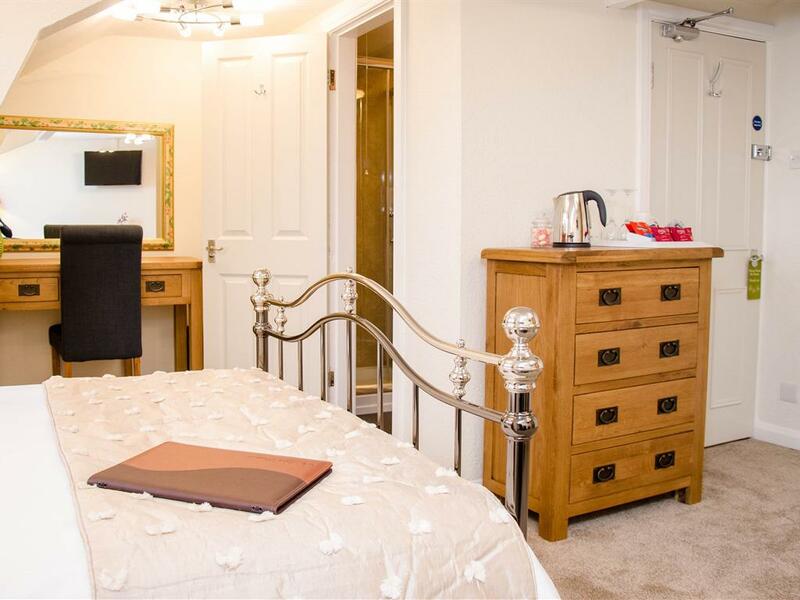 A lovely warm and bright en-suite double room, on the third floor but well worth the climb! 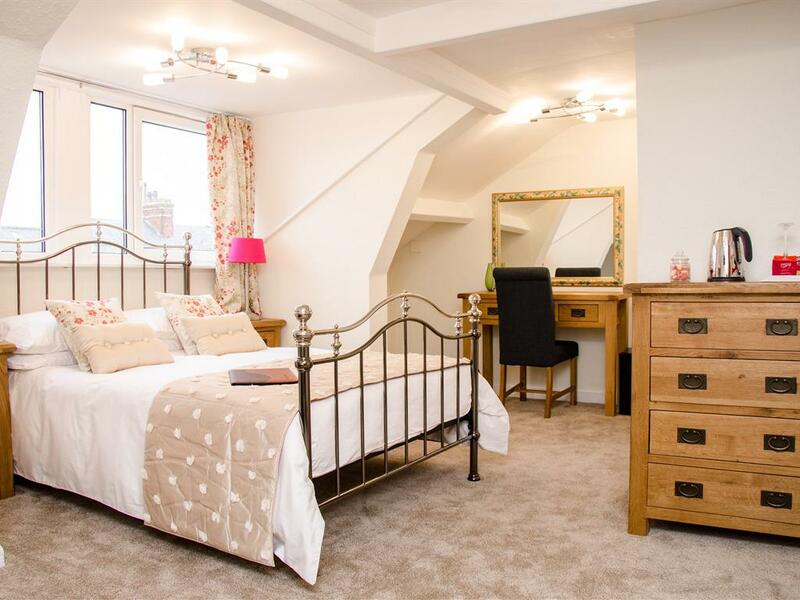 Under the eaves with velux windows to the rear this room gives guests a view of the dark skies and twinkling stars, while still having room for high quality wardrobe, dressing table, large comfortable armchair, silent running mini-fridge, flat-screen TV. Furnished in vibrant mustards, golds, copper and black like our wonderful sandy Whitby beach in summer. 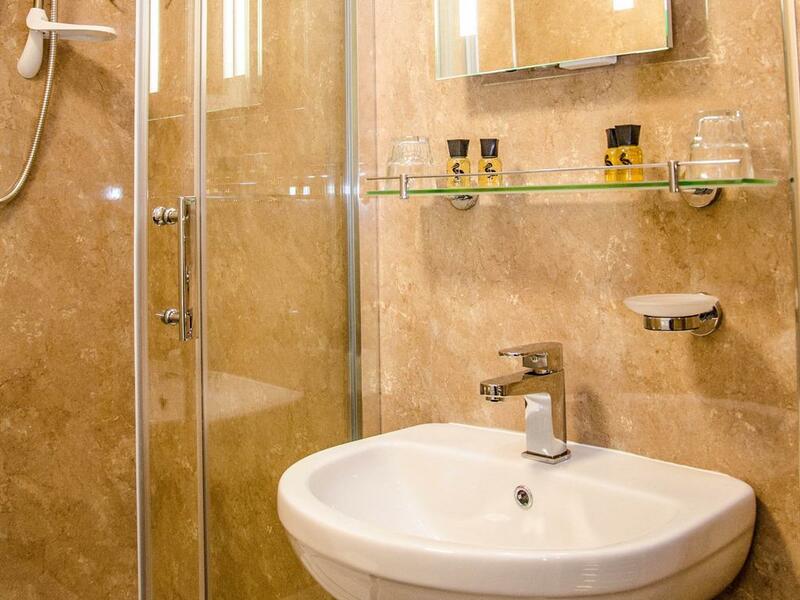 This room has a large en-suite shower room with shaver point, heated towel rail and LED mirror. All our rooms have crisp white HTC Egyptian cotton bed linen, luxury feather and down duvets and pillows and large white fluffy bath sheets and hand towels. 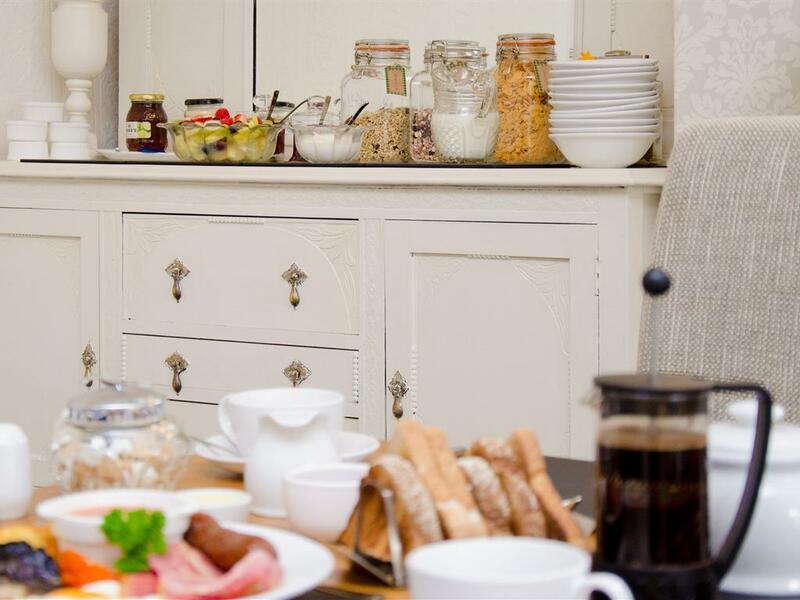 There are complimentary toiletries in the en-suite, bottles of fresh milk in the mini-fridge and complimentary tea and coffee.